Hello, here are a few of my photos taken on Fuji Acros 100. 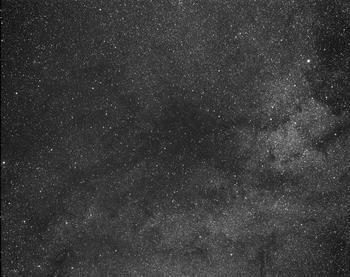 Le Gentil 2 dark cloud between Cepheus and Cygnus. 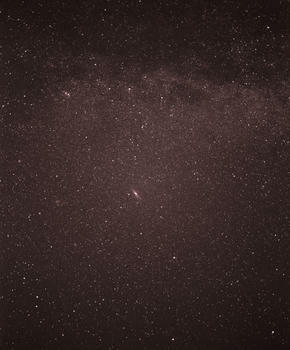 The North America nebula was captured near the right side. And here is a pair of photos taken to catch some Perseids. 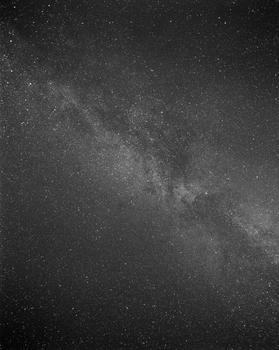 The meteors probably didn't want to be photographed so they flew quickly acros the field without bing captured by this slow film. Milky Way was fortunatelly not so fast! Here is an experiment with coloring. Like? I do. Acros sure is a beautiful film both night and day! It seems to reveal so much detail without being harsh. I like the coloring shot too. I'd love to know how long the exposures were, what F stop, and how dark your skies are? I just took my first long exposure with Acros Tuesday night. 30 minutes at F 4.7. SQM of around 21.3. Can't wait to see the results. Thank you Tom. The first image was taken at f/5.6 with an exp. time of 53 minutes. It was taken on a clear night. I have bad notes on the other two. They were taken definitely at f/4, but I don't know the exp. time. They were probably taken through high clouds, that's why the vignetting is so pronounced compared to the structures in the Milky Way. I have reduced the vignetting by software a little, though. I don't have an SQM to tell you a precise number. At good nights, I can see stars over 7 mag, but I have quite good eyes. A friend of mine standing next to me sees one magnitude less, between 6.3 and 6.5 mag, which is a more realistic estimate. By naked eye, I can see the main dark clouds reaching from MW to Polaris. The clouds don't look like black holes beween the stars but they are not glowing. They are about as gray as the sky. Yes, your skies are quite dark then. At the site I visit, I can see stars a little past 6th magnitude. Maybe 6.3. But I think with corrective lenses, I could see a little fainter. Hope to see more of your work in the future.